The Hunger and Thirst After Righteousness Drama Group Presents - The Temptations | ComeSeeTv Broadcast Network ... Can you See me Now! The Peoples Pentecostal Family Church has a very dynamic drama group called The Hunger and Thirst After Righteousness Drama Group. The group is under the leadership of Mrs. Cathy Augustine. 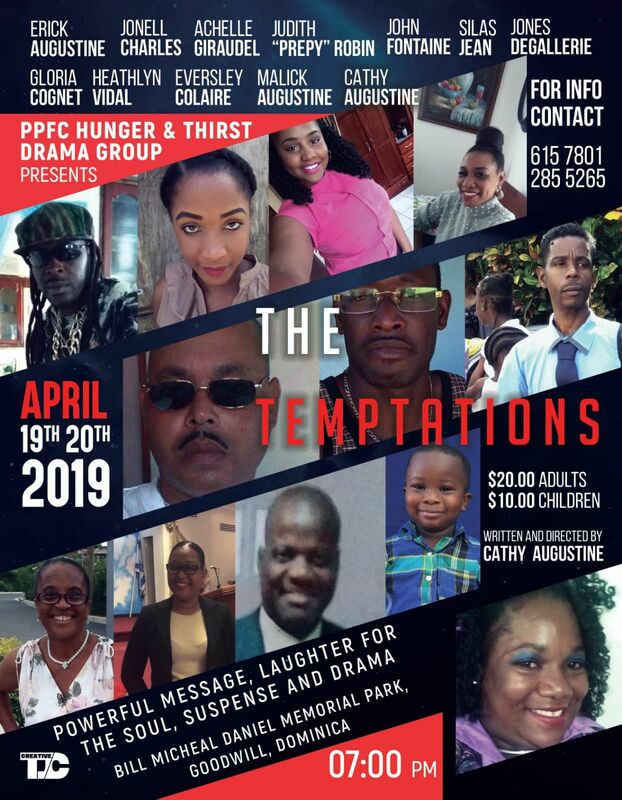 We will be hosting a very powerful production entitled “The Temptations.” It is carded for April 19 th and 20 th from 7pm at the Micheal Bill Daniel Memorial Park next to the church in Goodwill. This play is design to expose the enemy’s evil devices into enticing believers into the things that keep us away from God. The Hunger and Thirst After Righteousness Drama Group Presents - The Temptations.